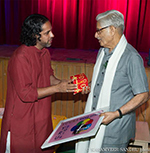 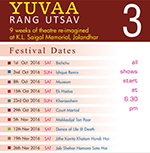 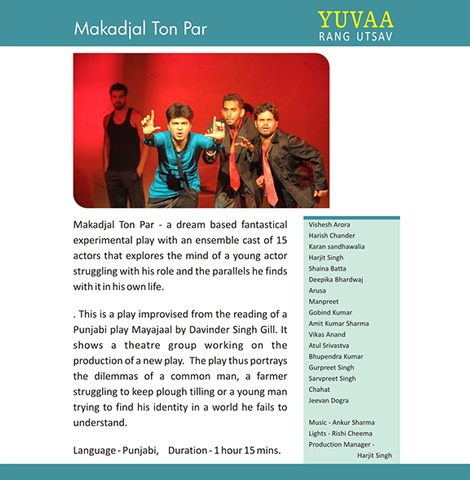 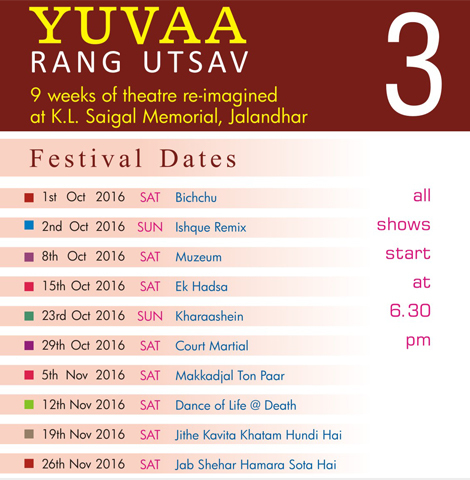 YUVAA RANG UTSAV ~ YRU is YUVAA's own theatre festival and is a dream come true not just for YUVAA artists but also for the city of Jalandhar. 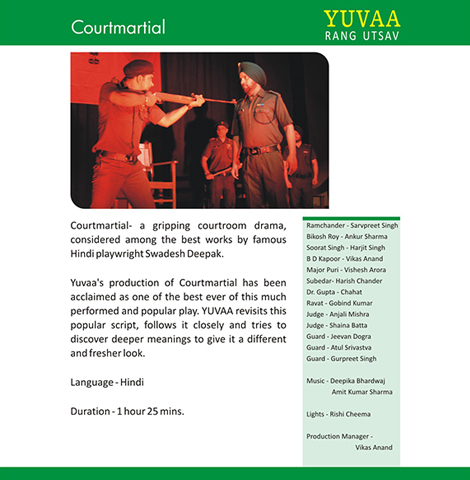 Introduced with just 2 plays in 2013, YRU has grown fast with 10 plays performed over 9 consecutive weekends in the months of October and November, 2016. 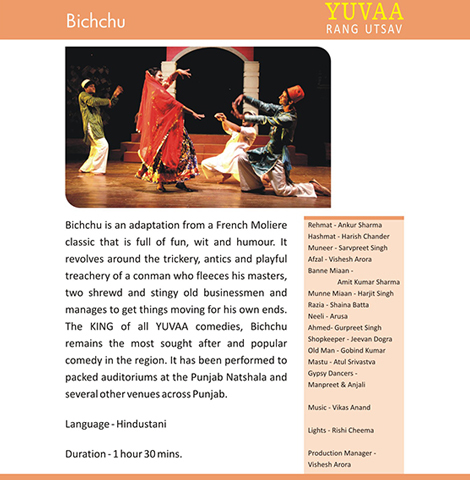 YRU has achieved its much coveted objective of giving residents of this region a regular feast of enriching and entertaining theatre ! 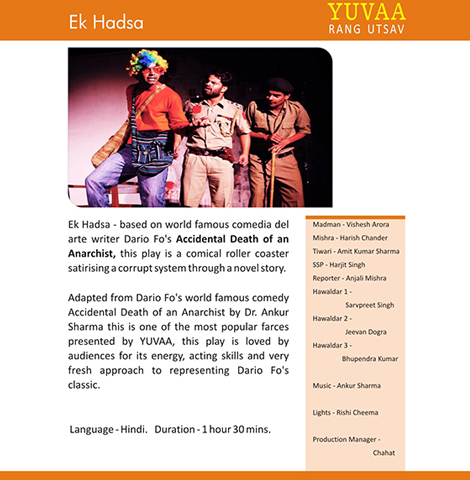 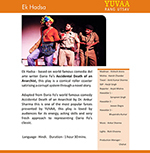 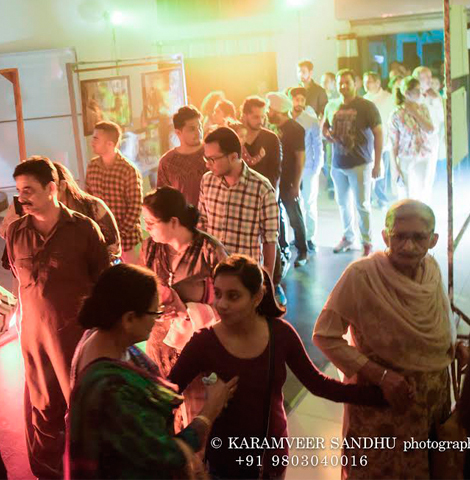 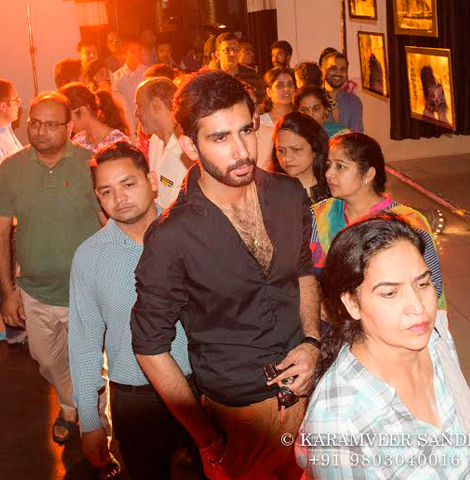 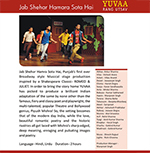 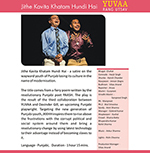 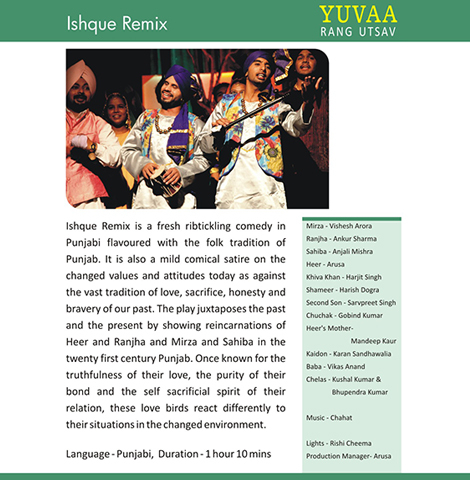 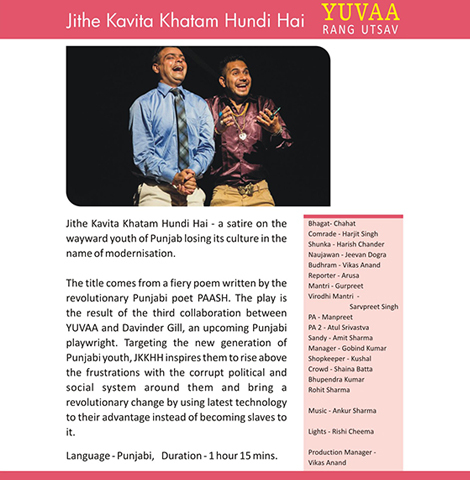 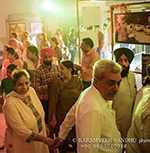 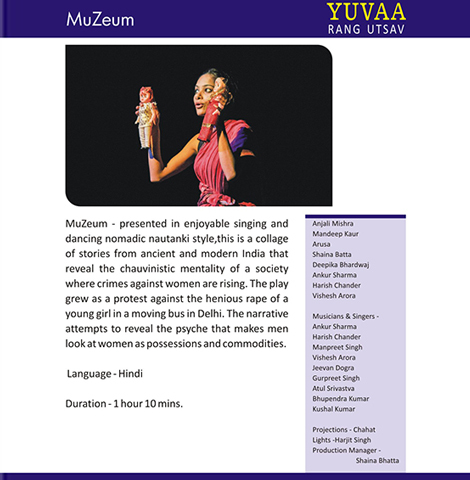 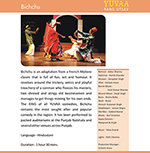 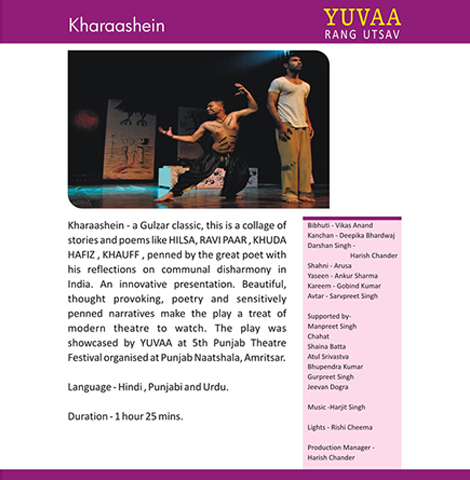 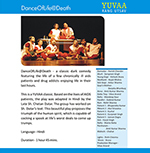 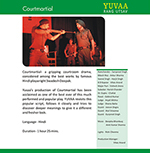 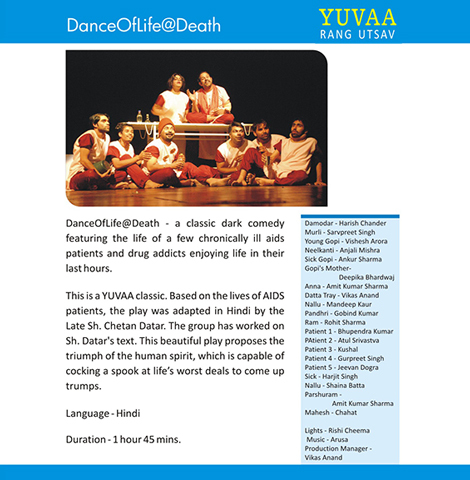 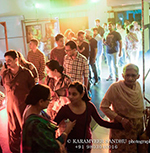 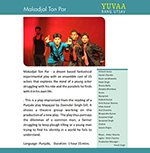 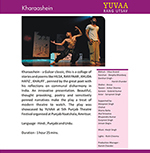 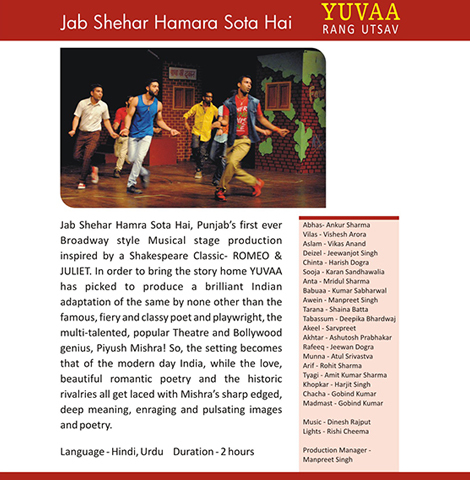 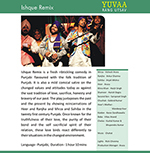 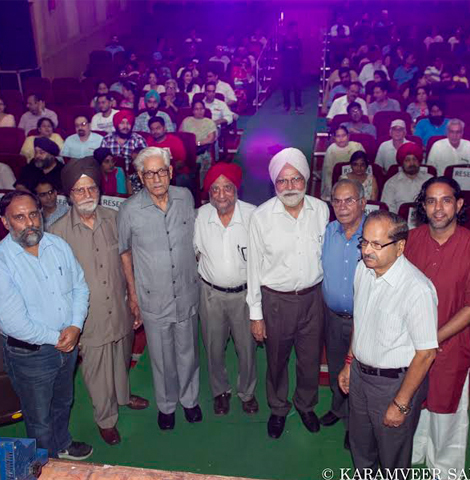 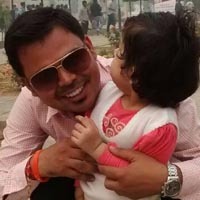 YUVAA hopes that with the love and support of our audiences and theatre lovers YRU shall keep growing and will soon become a major theatre event in Punjab!